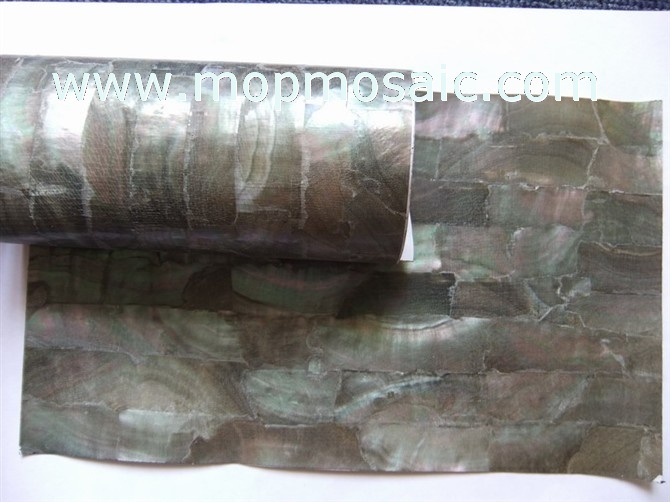 Dear Client,after several several years testing,we have explored in one kind of flexible abalone shell paper. 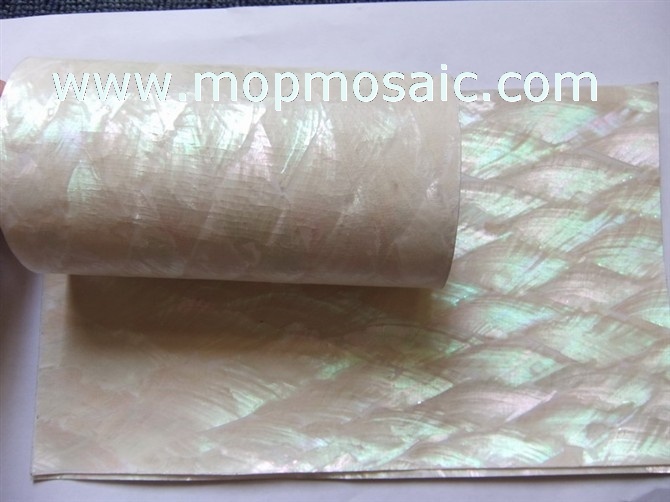 This kind of new paper is really have big difference as the traditional shell paper that is fexiable. Traditional shell paper is very easy broken,just like the chips. But this new paper is can to be fexible and even use at on the not flat area. Except the fexible,this kind paper having the same shiny,even much thinner,the thickness only have 0.1mm. No need using the laser for cutting them,the common sissior is ok. And the usage is very easy,no need a lot of gule. Because their usage like the stick. Just remove the backing white paper after cutting the shape which you wanted. The backing stick are made by the best 3M glue. 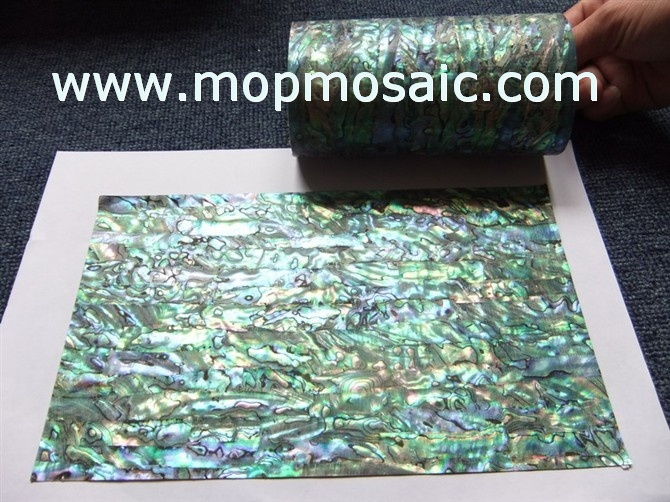 This is really a great succeful in shell paper and shell inlay area. Need more information,pls feel free to contact with me or go through our website for more information.